31 May 2018 Unlocked content from the archive. The stories in this impressive fictional debut by Moreno Giovannoni cover all aspects of noisy, nosey, gossipy Italian village life. Ninety-year-old Ugo introduces a series of stories from his Tuscan village of San Ginese. He tells the reader he has written most of the stories in his native tongue, but some have been contributed by his fellow villagers. He has employed a translator to present the text in English and add some literary finesse. What follows is a collection of stories about lives ruled by the agricultural cycle, mainly set in the first half of the 20th century. There is much sowing of vegetables, tending to animals and working the olive groves. Balancing out this fecundity are generous descriptions of cesspits, fertiliser and excrement. Living in this rich, organic environment is a cast of superbly drawn Sanginesini (residents of San Ginese): cobblers, pig merchants, chaplains, prostitutes, communists and fascists—enough to cover a five-page dramatis personae. 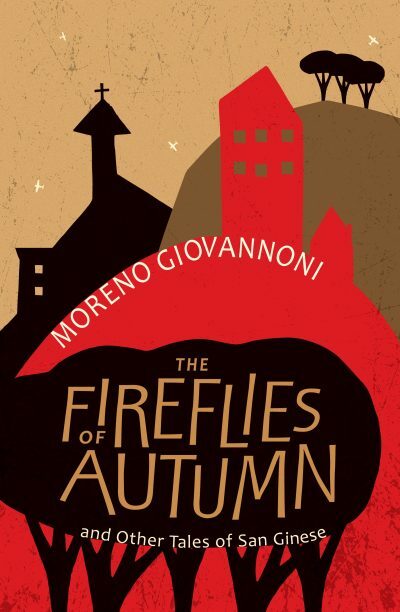 The Fireflies of Autumn reads like top-notch European literature, and Giovannoni’s naturalistic prose and gentle irony is confident without being showy. Readers who are after a rich, rewarding experience will find themselves transformed by these earthy, rustic tales.